Like my Facebook page. (Click on the "Like" button below). AWARD RECOGNITION: Rumble Tumble Joy (Adult Fiction Category) and Odin the Ferret (Children's Book Category) are Finalists in the 2014 Wishing Shelf Book Awards. 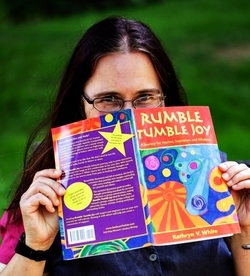 Kathryn V. White is a published author and artist. Her dream is her creations help transform our world to be more joyful. Visit: kathrynVwhite.com. 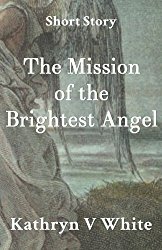 Kathryn V. White is an award-winning author and artist as well as a mystical cosmonaut who enjoys sharing her adventures in expansion through her art and writings. Her dream is her creations help transform our world to be a healthier, wiser, and more joyful place to live. To find out more, visit www.kathrynVwhite.com. 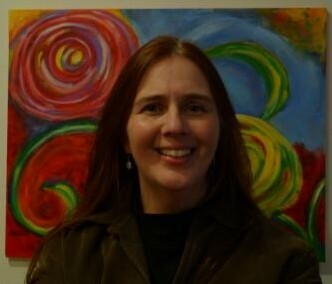 Kathryn V. White’s is an award-winning author and artist. Her creativity takes form as fiction, non-fiction, poetry, collage, mixed media, drawings, paintings, and book arts. Travel in Europe, China, New Zealand, as well as studying at Oxford University, camping and hiking in Alaska, swimming with dolphins in New Zealand, enjoying Huichol art in Mexico, and bicycling cross-country in the USA with two women friends have widen her perspective and nurtured her curiosity. 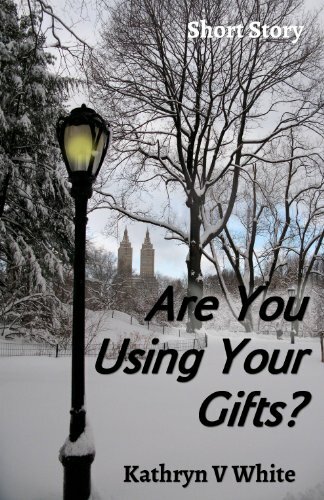 Deeply dedicated to her personal and spiritual growth, Kathryn supports these in others. She is continually drawn to the beauty of nature, the breathtaking expansiveness of the universe, and the miraculousness of life. Her dream is that her writings and her art help transform our world to be a healthier, wiser, and more joyful place to live. People frequently say her art makes them feel happy. She has a particular fondness for colorful autumn leaves, Gerber daisies, animals of all kinds, and cupcakes with butter cream frosting (the more frosting the better!). 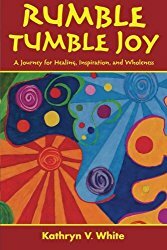 Praise, endorsements, and testimonials for Rumble Tumble Joy can be found here. To find out more about Kathryn's art, click here. To purchase archival giclee fine art prints of Kathryn's art, click here. Use the contact form on this website. Kathryn's Painting a More Perfect Life via Women for One Truthteller series. Copyright 2013--2019 All rights reserved.